I've said this time and time again that my hair is just something that I do not care for very much, I have always stuck to basic products that do the job and that’s pretty much it. With my graduation fast approaching, I have started to take more care of my hair because I want it to look shiny and grow enough to have an elegant looking hairstyle. 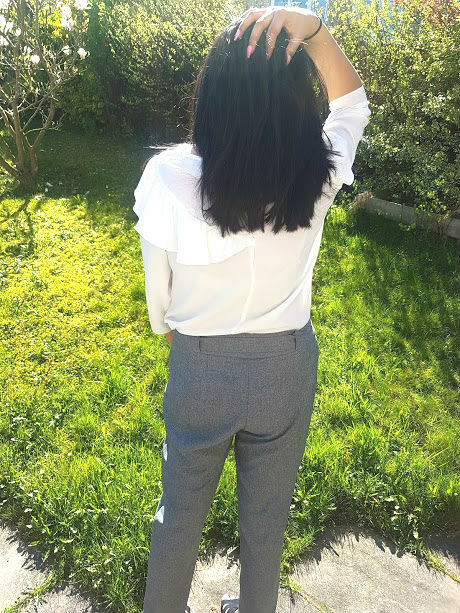 My main problem with haircare is that I have never really found anything that is suitable for my hair type, which is straight, thick and gets greasy quickly. I always find myself using products for greasy hair that don’t make it look sleek, or sleek products that make it look greasy. 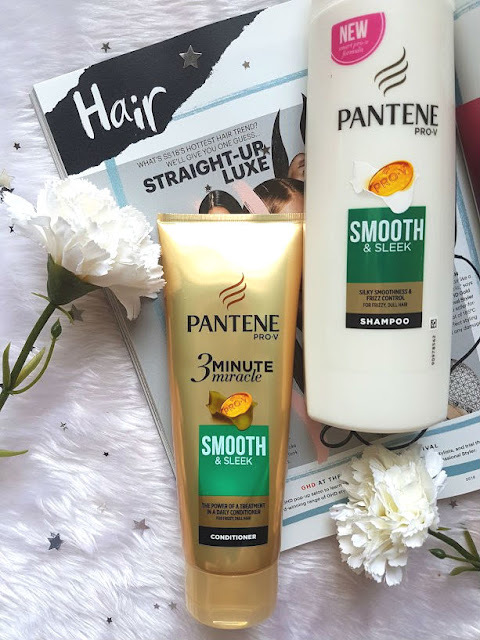 But, I think I have finally found a power duo that works wonders on my hair and gives me the sleek look without looking or feeling greasy. 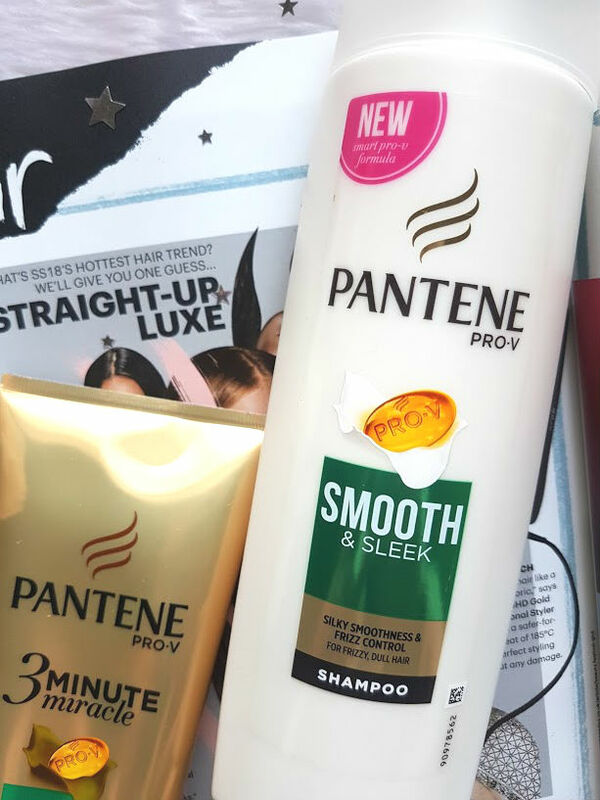 Let me introduce to you the Pantene Pro-V Smooth and Sleek range aka my hair holy grail. It all starts with the shampoo, I do two rounds of this and it thoroughly cleans my hair from root to tip. It lathers nicely and smells like sweets! As I wash this out, my hair instantly feels silky and any knots I may have had before have now disappeared. 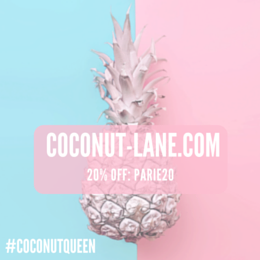 It is a very thin consistency but the lather it creates is unlike any other shampoo I have tried before and makes me certain that my hair is actually being cleaned. Then the magic really happens and that is in the conditioner. I have never been one to use a conditioner whereas my mum can’t live without it! 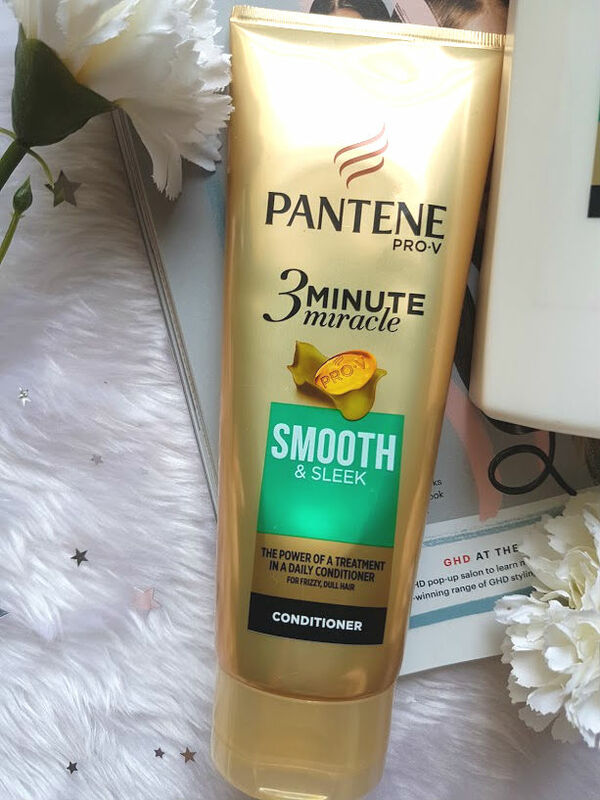 The 3 Minute Miracle conditioner is just like a hair mask - it has been formulated using Pantene’s latest conditioning technology to target damaged hair. Pantene’s Pro-V 3 Minute Miracle also features up to 2x more top conditioning ingredients than regular Pantene conditioners, which helps to make hair stronger and healthy in an instant. After using this just once I saw a complete difference in my hair. I have found that using this consistently, along with the shampoo,has improved my overall hair health and made it look so much shinier. I use the smooth and sleek range as this is the best for my hair, but you can also buy a Repair and Protect, Colour Protect and Volume and Body variant – a range for every hair type! These are now available to buy from Superdrug.